Other than dressing up as a kid for fall festivals and all of that good stuff, I never really did Halloween costumes. We always had something going on, and I didn't really care about it. Last year I went to a Halloween party for the first time in years. 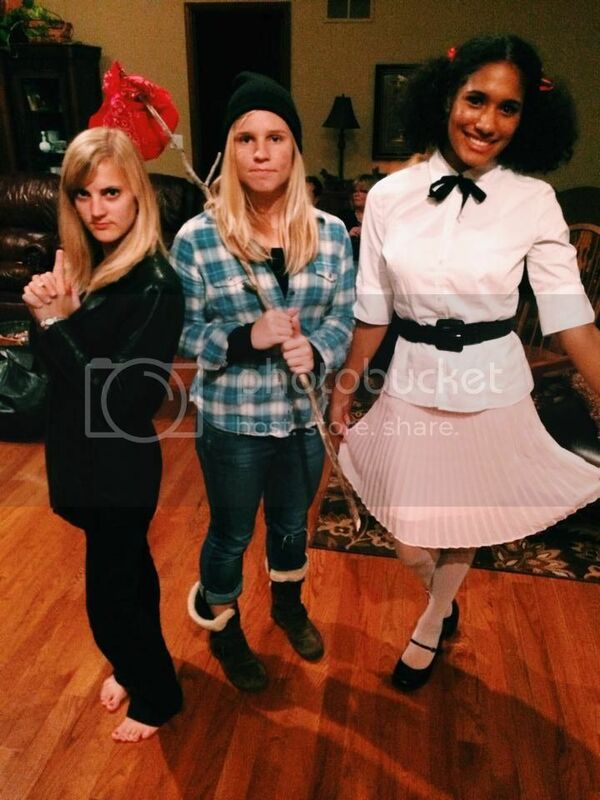 My friends and I sent pictures back and forth for several days of what we should dress up as. Of course, the over thinking me couldn't make up my mind, and I kept changing my idea. Work was busy, and before I knew it, it was Friday and time for the party. I was tired and hadn't gotten everything together, so I quickly went through my closet and picked out an outfit. I was a hobo. How's that for creativity? I think I started this too late in life. Ha! Maybe I'll give it another shot later. While I love seeing the costumes and creativity, I think I'll cheer everyone on from Facebook and enjoy not stressing and over thinking the best outfit ever. Ha!